Many tasks in Model-Driven Engineering (MDE) involve cross-cutting model modifications that are bound to certain conditions. 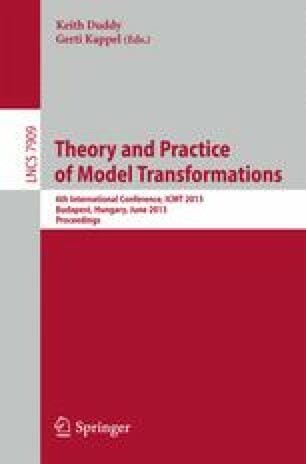 These transformation tasks may affect numerous model elements and appear in different forms, such as refactoring, model completions or aspect-oriented model weaving. Although the operations at the heart of these tasks are domain-independent, generic solutions that can easily be used and customized are rare. General-purpose model transformation languages as well as existing model weavers exhibit metamodel-specific restrictions and introduce accidental complexity. In this paper, we present a model weaver that addresses these problems using an extensible approach that is defined for metamodelling languages and therefore generic. Through examples of different formalisms we illustrate how our weaver manages homogeneous in-place model transformations that may involve the duplication, merge, and removal of model elements in a generic way. Possibilities to extend and customize our weaver are exemplified for the non-software domain of Building Information Modelling (BIM). This work is supported by the Fonds National de la Recherche (FNR), Luxembourg, under the MITER project C10/IS/783852.